The knee joint is the largest joint in the human body. Every day it is exposed to tremendous stresses. Over time, this can lead to degenerative changes. What's more, our knees are very vulnerable to injury. Thus it comes as no surprise that many people complain of knee pain. Knee pain is a very widespread condition in Germany. The knee or knee joint is the largest joint in the human body. The knee is a pivotal hinge joint. It permits flexion and extension of the leg as well as slight internal and external rotation when flexed. Due to the complex anatomy of the knee, knee pain can have many causes. However, these can be divided into knee pain resulting from injuries and knee pain resulting from degenerative changes. While a knee injury often causes pain in young people (for example during sports), degenerative changes of the knee often lie behind the pain experienced by elderly people. But there are also other factors that can cause knee pain (e.g. overstrain in sports or hereditary factors such as congenital knee deformities). Only a thorough medical examination can pinpoint the exact causes of the knee pain in individual cases. Football, downhill skiing, handball or basketball are particularly high-risk sports for knee injuries. Our knees are exposed to tremendous stresses every day. Over time, this can lead to degenerative changes that are associated with a breakdown of the cartilage layer. The shock absorber function of the cartilage suffers and the joint can feel stiff and painful. This explains why more and more people suffer from osteoarthritis of the knee (joint degeneration) with increasing age. 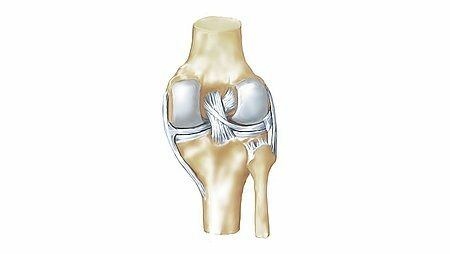 Osteoarthritis of the knee (gonarthrosis) is a progressive process. In the early stages, the knee pain only occurs occasionally (e.g. on weight-bearing, after longer periods of rest), while in the advanced stage, the cartilage damage is so extensive that the bones practically rub against each other. The pain occurs more often and is more intensive. Acute knee pain starts suddenly – such as after an injury. Chronic knee pain manifests gradually – initially slight pain, which intensifies with time – as in osteoarthritis of the knee, for example. 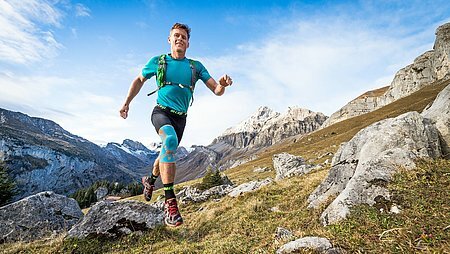 Quality of knee pain: how does the pain feel? Localisation of knee pain: where does it hurt? Dependency on the situation: when does it hurt? However, there are also situations, in which an operation is no longer avoidable. 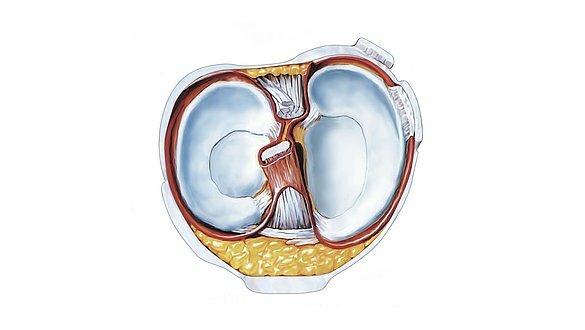 But these days, many operations can be performed almost atraumatically by arthroscopy. Click here for more information about medi's knee supports and knee orthoses.